Some of these are meaningless (e.g., “it’s all you, bro, all you”). But some others are very valuable, and learning what they mean can really enhance the quality of your workouts and the results you see from them. People talk about these so-called “intensity-booster” techniques all the time, but few really know where they come from, or how to use them properly. For many years, I was one of them. Like a lot of people, I wanted to use supersets, 21’s, etc., because all the great physique idols had used them—from Arnold to The Rock—but every time I tried to find out HOW they used them, I found conflicting information. Just what is the best way to drop set? How much weight do you drop by? Which exercises make the best supersets? Which ones make bad supersets? When should I use 21s? How long should I do an EMOM? I had the same questions as everyone else. But after years as a fitness journalist, I figured out the answers. And then Men’s Health magazine called to ask me to write a book about these techniques. They wanted me to get to the bottom of all these strength, muscle, and fat loss-strategies and put my findings in one place. 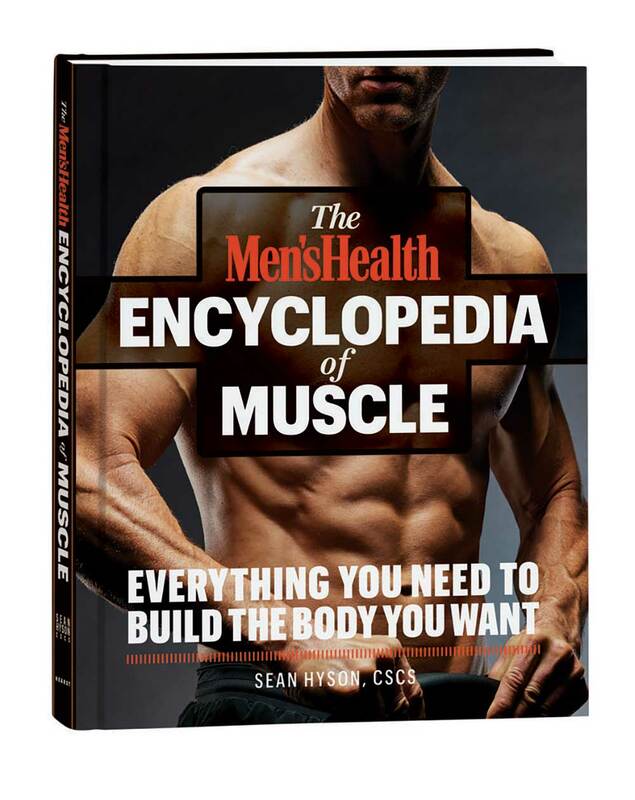 The result is the Men’s Health Encyclopedia of Muscle, my newest book, and one of my greatest achievements. If you’re at all interested in learning what it takes to get in great shape—the most efficient way possible—you need to get this book. 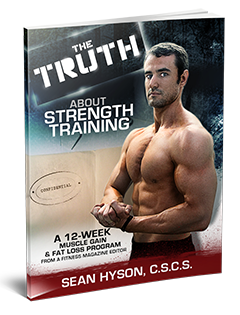 I had a blast writing it, and I’ve been applying what I learned along the way with fantastic results in my own workouts. I’m going to share what may be my three overall favorite muscle-building techniques with you now in this post. Note that the book goes over 55 different training methods and ideas, alphabetized from alternating periodization to wave loading, so what I’m showing you here isn’t even the tip of the iceberg. Autoregulation means knowing how to customize your workout based on your needs the moment you walk into the gym. My book offers a quick test you can give yourself to see how ready you are to train that day, and then shows you how to modify what you want to do so that you get the most out of your body. After you’ve warmed up, prepare the weight that you’ve been planning to use for that day on your main exercise. Got a goal number of repetitions in your head? Go and do your set and see how many you get. Do only as many as you can manage with PERFECT form and your intended speed. In other words, the moment that you feel your form is getting sloppy, or the cadence that you’re lifting with is slowing down, end the set. This is your body telling you that, for any number of reasons, you haven’t recovered well enough to use 60 pounds for presses today. So rather than try to be a hero and knock out more sloppy sets where you’ll certainly get fewer and fewer quality reps, reduce the weight by 10 pounds. On the flipside, let’s say you got more than 10 reps. You did 12 or so before your form and speed broke down. This means you’re having a great day, so why not take full advantage of it? Add weight, going up to the 70-pound bells, and see if that cuts you off at 10 reps on the next set. The third possibility, of course, is that you guess right and nail all 10 intended reps with great form. In this case, stick with the same weight, and continue. Once you’ve found the right load, do as many sets as you can with it, following the same rules to know when your set should end. When you finally do a set that has you come up 3 or more reps short of your goal, you’re done. Move on to another exercise. You may end up doing 3 sets on a normal day, 5 sets on a great one, and only 2 on a bad day, but it doesn’t matter. You’ll be doing exactly what you’re capable of on that day, and that’s all you can ask of yourself. You’ll get a good workout in any case, and the more good workouts you string together—without interruption from injuries—the more muscle you’ll build, and the closer you’ll get to reaching your goals. This is the one I use the most frequently, and it really works well in almost any workout and for any goal. There have been many times where I’ll squat 240 for a few reps as a warmup set and think, “Jeez, that felt heavy. I wonder how 315 will go.” Then I do the set of 315 and go back down to 240 and, all of a sudden, it feels so light that I can hit a rep PR. If I had just gone for the PR the first time I loaded 240—without having worked up to 315—there’s no way I would have PR’ed. Back-off sets are great for the ego, but they’re also a way to get extra volume to break a plateau. Often times, we plateau because we’ve adapted to the demands we’re currently placing on our muscles. Breaking out can be as simple as adding another set to a lift. But if you’re already doing a bunch of heavy sets, adding another heavy one can be too much. The solution: tack on a back-off set and go for more reps instead. The extra work increases the challenge to your muscles, but it’s done with a weight that’s easier on your nervous system and joints. This is another way of using more weight than you normally could for more reps.
Say you can use 300 pounds for 5 reps on an exercise. That’s pretty close to your limit, so that if you did 3 sets with it, you’d get 5 reps for your first, maybe 5 for your second, and then, as fatigue builds, you can only manage 4 or even 3 reps for your third set. That’s 13, or maybe, at best, 15 total reps (3×5) for the exercise. Now imagine if you held back a little each set, and even took breaks in the middle of them. Instead of going for 5 reps, maybe you do 3, rest 20 seconds, and then crank out 1 more rep. Rest again, and finish up with 2 more. That’s one “set,” or one climb up the ladder, and 6 total reps already. Do that 3 times, and you’ve got 18 total reps—at least 3 more than you’d get with the previous example. This is just one way to set up a ladder, but the idea is always to do a little less than you’re capable of in each mini-set, and get the overall number of reps you do to be greater than what you could normally handle. Over time, more volume equals more muscle mass, and strength. And because none of these sets/ladders pushes you to the limit, you’re at a much lower risk of your form breaking down and getting injured. This is the same principle behind cluster training, which is also described in my book. I’ll come back soon to post more about my book, but please check it out HERE. In addition to the many training methods profiled, there’s an appendix of great articles on diet and supplements featuring other great fitness authors, including my colleagues Lou Schuler, Michael Easter, and Andrew Heffernan. Get the Encyclopedia of Muscle HERE!